* Most suitable for Airconditioner Cleaning. 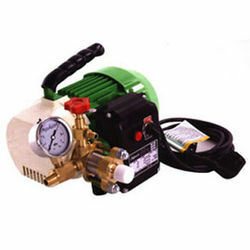 * Unique oil less pump is compact, super lightweight. * Unbeatable in pumping performance. * Very Durable & long lasting. * Adjustable pressure for Evaporator & Condenser cleaning. * A Quality product from Kyowa, Japan. * Car engine compartment Cleaning. * Washing and finishing in plasterers work. * Tool processing equipment Cleaning. * Farm tool and machine Cleaning. * Insecticide spraying in gardens and to trees. Features : * Most suitable for Airconditioner Cleaning. * Unique oil less pump is compact, super lightweight. * Unbeatable in pumping performance. * Very Durable & long lasting. * Adjustable pressure for Evaporator & Condenser cleaning. * A Quality product from Kyowa, Japan. Other Applications - * Car engine compartment Cleaning. * Washing and finishing in plasterers work. * Tool processing equipment Cleaning. * Farm tool and machine Cleaning. * Insecticide spraying in gardens and to trees. * Printing machine Cleaning. * Steel Pipe Cleaning.